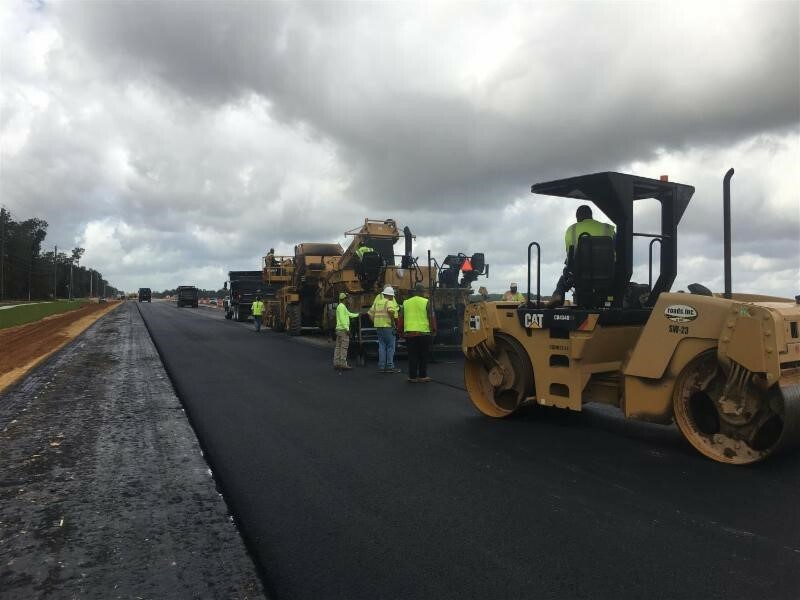 August 2018 – Roads Inc. The eastbound, outside lane on Nine Mile Road will be closed for approximately one-half-mile on either side of the I-10 overpass beginning the week of Monday, July 23 as crews construct overpass column improvements. There are no impacts to the I-10 on-and-off ramp configuration at this time. The lane restriction is expected to remain in place until work is completAll construction activities are weather dependent and may be delayed or re-scheduled in the event of inclement weatherWork on the new eastbound travel lanes has included placing rock as the base material. Once the rock is spread uniformly it is graded and compacted. The asphalt is applied in multiple layers and measured for precise depth. Crews have completed the new sound barrier designed to mitigate traffic noise for the Nature Trail Subdivision. The wall consists of 157 panels that stretch more than 3,000-feet along Nine Mile Road.Construction of sidewalk, drainage improvements, and a traffic separator is complete between Bell Ridge Subdivision and the new Eleven Mile Bridge. The five-foot sidewalk will extend the full length of the project on the south side of Nine Mile Road. As always please drive carefully in our construction work zones.